Beyond the personal education, nothing is more rewarding than having even just a small role in the changing of someone’s life for the better. Watching someone catch a glimmer of hope and be inspired to take this approach, then seeing how it changes their life is far and away the most rewarding and fulfilling experience. 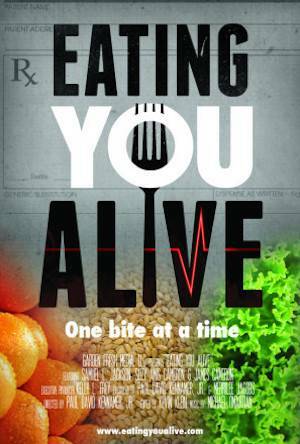 To view the trailer, find screenings and get more information visit Eating You Alive. Eating You Alive is a new documentary revealing the truth behind why Americans are so sick. Featuring leading medical experts and researchers (including Dr. T. Colin Campbell), Eating You Alive takes a scientific look at the reasons we’re so sick, who’s responsible for feeding us the wrong information and how we can use whole food, plant-based nutrition to take control of our health—one bite at a time. Can you please tell us how you became interested in Dr. T. Colin Campbell’s work? Paul: Although I had heard of The China Study- I didn’t really pay attention to what it was about. But then we were approached as a production company to produce some promotional assets for a local program called Dinner with the Doctor that presents a monthly seminar on the benefits of a whole food, plant-based lifestyle. We were directed to watch Forks over Knives for a better understanding of the content they were presenting and in gleaning information for that purpose, was introduced to Dr. Campbell’s work. How did Dr. Campbell along with other researchers and plant based doctors affect your or your family’s lives? Paul: Well, the information convinced and compelled us to make the transition to a WFPB lifestyle and it has changed our lives, both personally and professionally! Many of our family members, after observing the results of our journey have made the transition themselves and are now reversing disease and experiencing health like never before! Paul: A born & bred Alabama boy, I became intrigued with the Whole Foods Plant Based Lifestyle. I have a history of chronic disease in my family and just figured I was headed down that same path. Deciding I wanted to try it, I asked if Merrilee and another team member if they would help since I can’t cook and they agreed- and when we mentioned it to the rest of the team, they responded with, “Well, why don’t we all just do it together!”. So we did! The the results have been amazing! Each of us has a personal story, but as a group we’ve lost about 500 lbs so far, and no longer deal with issues of tendonitis, rotator cuff problems, chronic back pain, acid reflux, skin conditions, allergies, chronic fatigue- and the list goes on! What is the most rewarding aspect from producing this film? Paul: For the team, it’s been incredibly rewarding and of personal benefit to be able to have a one-on-one tutorial if you will with so many of the great minds that have been promoting this message for years! But beyond the personal education, nothing is more rewarding than having even just a small role in the changing of someone’s life for the better. Watching someone catch a glimmer of hope and be inspired to take this approach, then seeing how it changes their life is far and away the most rewarding and fulfilling experience. What is the greatest surprise/challenge you faced producing this film? Paul: Believe it or not, it was a challenge to be healthy! Ha! In all honesty, we have the healthy diet part down, and even can do it pretty well on the road- but seriously violated the other laws of health like plenty of sleep, exercise and stress management. What do you find most inspirational about the whole food, plant-based movement? Paul: That this is not something one does by accident. It requires a commitment, and where you find total commitment you find incredible passion. Everyone who we’ve met that is committed to this way of life is incredibly passionate about sharing the info and helping others find hope and healing as well. That continues to inspire us- as well as being able to witness all of the amazing transformational stories. What is your goal/dream for the plant-based movement? Paul: That the paradigm of this country will shift to where this will no longer be a movement and no longer be referred to by any specific name. That we will reflect back on the animal-based days of eating, with the same naive thoughts like most Americans had when smoking was considered healthy. Hence we transform our healthcare system, become more compassionate , all the while saving our planet. What is an overarching message you would like the world to hear? Paul: If you want to be healthy, you must do it yourself. No one else can! As a 35 year industry veteran and award winning Director/Producer, Paul’s artistic intuition, technical expertise and creative artistry is widely appreciated by a client list that includes Coca-Cola, HBO, Chrysler, Good Morning America, The Disney Channel and many others. 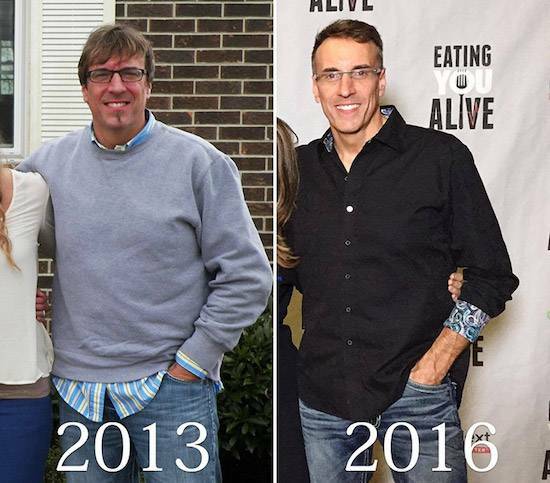 Paul embarked on the WFPB journey in February of 2014 after being introduced to the lifestyle by Dr. Michael Hollie and the documentary “Forks over Knives”. He committed to the transition and six weeks later was 45 lbs. lighter, more energetic, had no more joint pain and determined that going back to his old habits held no temptation. He is very passionate about his new found health, and desires to encourage and inspire others to begin their own journey.